On Thursday I turned 21. It felt like a milestone - not a turning point, but something significant passed on the road. It made me realise how incredibly lucky I am. 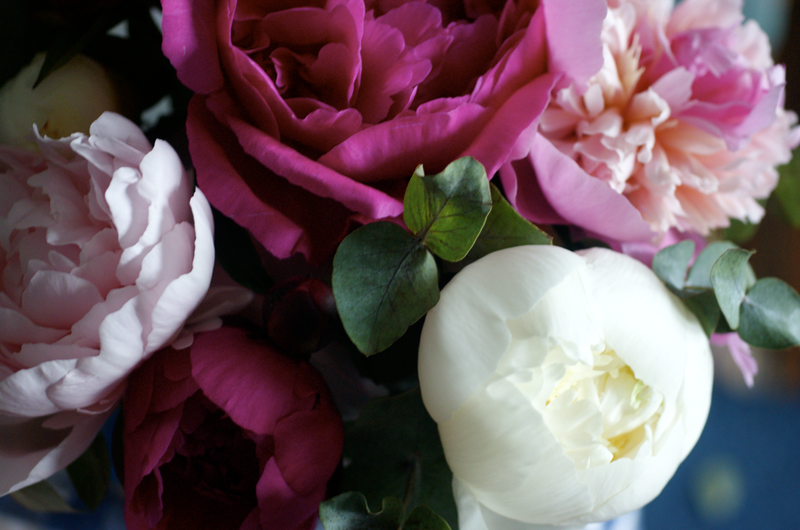 I know I will never forget this birthday: the smell of peonies and eucalyptus, the food I ate, the bunch of roses in an unexpected vessel that made my heart flutter, my mum's emotional face or the friends who made it incredibly special. In the evening I had a party. Eleven of my closest friends came with me to my absolute favourite place to eat in Oxford, The Anchor, for a wonderful three course meal. It's actually a pub, but better than most of the 'proper' restaurants about. They have a little conservatory off the side which you can rent out with wood-topped tables with cast iron swirly legs and wicker chairs. I got to decorate it with masses of peonies dotted with eucalyptus in glass jars and a golden syrup tin - with the candles and all the glasses and the silverware in old tankards the table looked gorgeous. 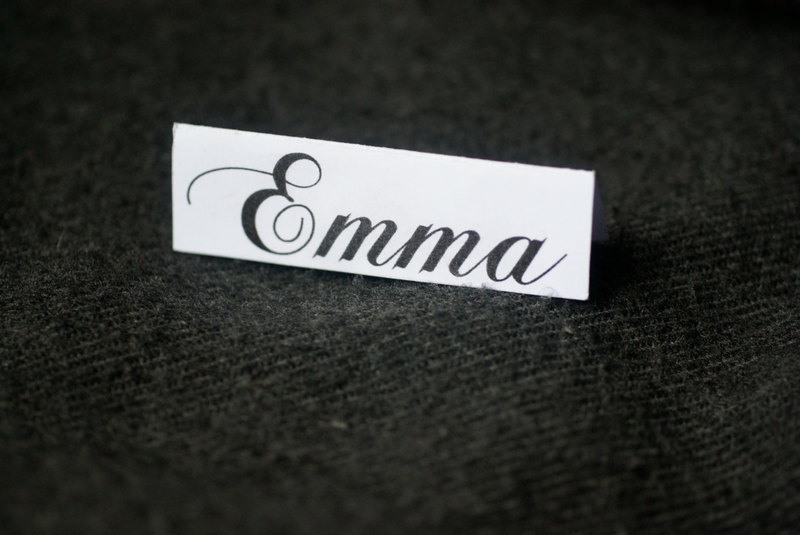 I made a seating plan and name cards. We had two disposable cameras - one with colour film and one with black and white - now all filled with memories. We had a wonderful menu, printed with 'Emma's 21st Birthday' at the top. We dined on mussels in white wine sauce, scallops with pancetta, pea and mint risotto, hand sliced smoked salmon, thick rump steaks with hand cut chips and peppercorn sauce, steak and kidney pudding, smoked haddock fishcakes and more. For pudding there was Eton Mess, Treacle Tart with their special ginger custard or Sticky Toffee Pudding (it's no surprise I've made all three). My treacle tart came with a candle, 'Happy Birthday' written in golden syrup around the rim and a champagne-fuelled sing-along. My wonderful friends know me well and presented me with a truly amazing set of gifts. Unsurprisingly there was a bit of a food theme going on, from jelly moulds to kangaroo steaks. There's one recipe book on chocolate that I'm in awe of - the photos and recipes look incredible. There was a theme behind a set of presents, which got more exciting as they increased in size, culminating in an ice cream maker. I was so, so excited. 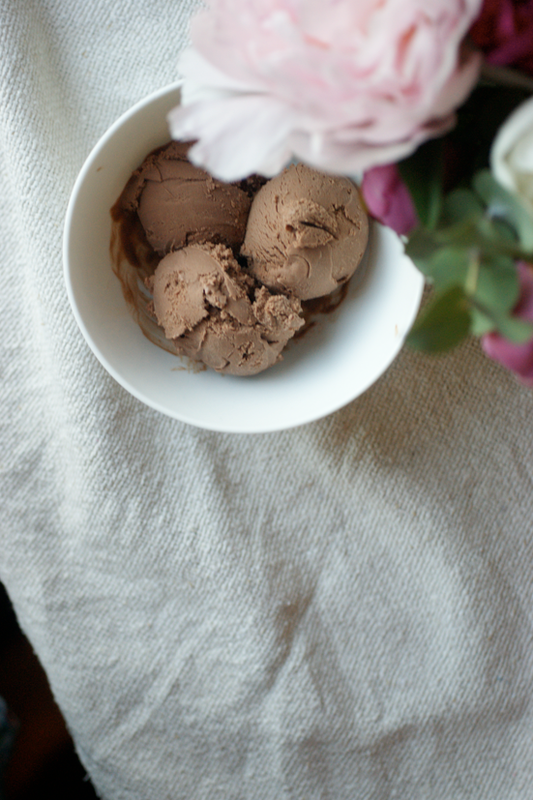 I put the bowl of my new ice cream maker in the freezer that night, so that I could have a go the next day. I decided to stick with simple, crowd-pleasing chocolate. I'm very glad I did - it is so good. Creamy, smooth and tastes exactly like the whole bar of gorgeous 70% chocolate that went into it. I apologise in advance for the profusion of ice cream that will probably be appearing here in the near future. Edit 23/07/13 - I've removed the recipe from this post as I've tried it again and wasn't happy with it. 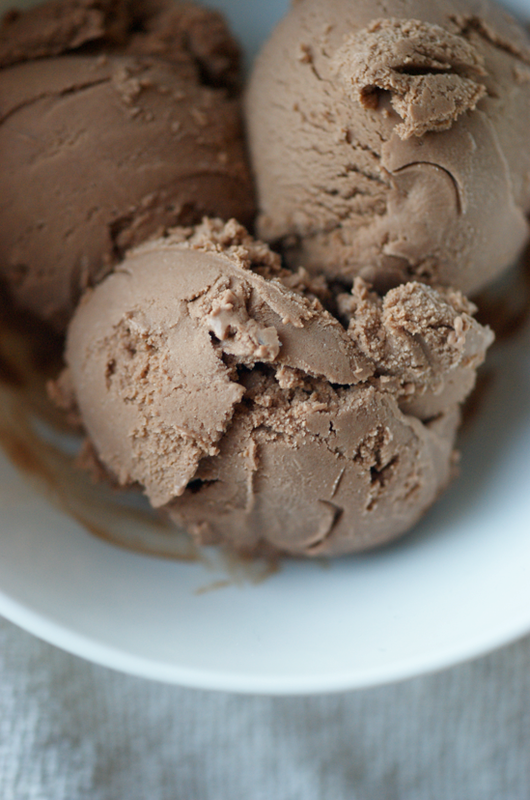 I now use David Lebovitz's chocolate ice cream recipe from The Perfect Scoop. Sounded like a wonderful evening you all had. Yes, bring on the ice cream recipes, my ice cream maker bowl is always ready! Happy Birthday! It sounded like you had a truly magical day. All of the food for your meal sounded delicious, it was indeed a feast! You are so lucky to get an ice cream maker. Perfect timing for summer! happy 21st birthday!! hope you had a great birthday!! 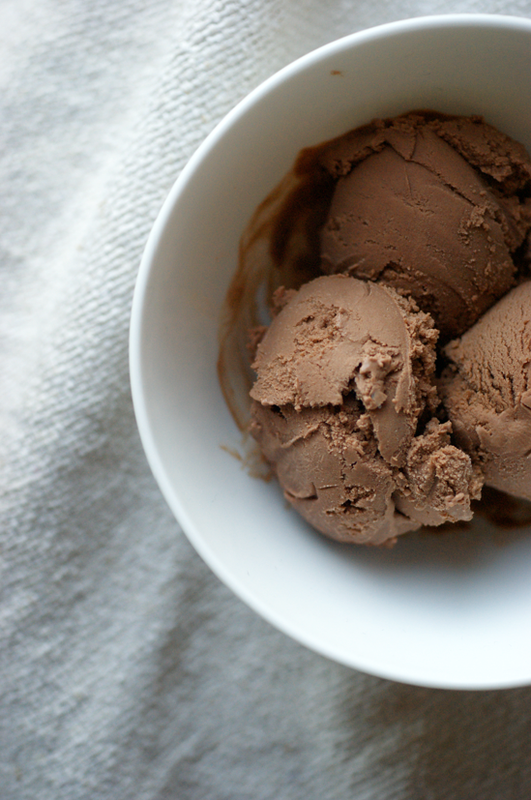 this chocolate ice cream looks gorgeous! Get your hands on The Perfect Scoop by David Lebovitz. It's the icecream/frozen dessert bible. Happiest of 21st birthdays to you, Emma. It sounds like you certainly had a glorious day to remember. Wonderful description of your very special dinner. Clearly, a lot of people love you!